Yes, and wide spread illict drug use started about 50 years ago too. Well, white kids in suburbia were exposed to marijuana for the first time by soldiers returning from Vietnam. How do you define sane? I think if you looked at statistics on unnatural deaths you might be a bit surprised at modern times versus pre-1963. They haven't for full time and salary workers. 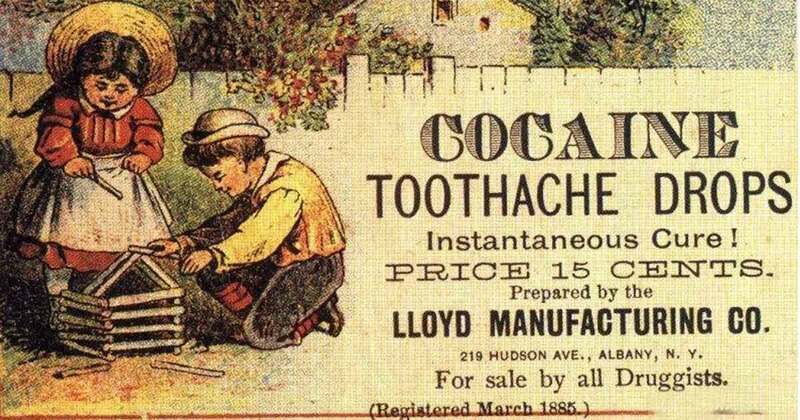 Historically, you just bought your cocaine and laudanum at the pharmacist's shop, in patent medicine or even soda form. Widespread drug use is not really a new development. A different country is a different system. I'm talking about whether aggregate prosperity in a consumer capitalist country is better or worse if it's less stratified. I don't think that treating individual countries as self-contained entities is the most appropriate approach here. Capital (and to a lesser extent, labor) flows trans-nationally. We can make comparisons between nations, for purposes of advancing national-pride, or on the contrary, of sounding the alarm. But if the aim is to make a hypothesis about prosperity vs. equality, ought we not to take the whole world as an aggregate? But since you brought it up, the oligarchs have made fortunes transferring wealth from the middle class of developed countries to poorer ones, but it hasn't had a positive effect on GDP growth. Rather the opposite. At the risk of sounding willfully obtuse, I don't see that trend from the chart that you posted. Instead, the trend that I see is a trough in the late 1970s and early 1980s, followed by a zero (or even slightly improving) slope, with the notable exception of the Great Recession. There is however another possibility, worth entertaining at least casually: technological innovation is actually plateauing, instead of accelerating. There was more gained in the first half of the 20th century, than in the second half - and especially more, than now. If we accept this hypothesis, that that might explain a slowdown in GDP growth - if indeed there is such a slowdown; it's an alternative explanation to that of the oligarchs gobbling up all of the wealth. My own personal feeling is that the real growth potential worldwide is neither in increasing American prosperity, nor in fancy new technology transforming how we live; rather, it is in bringing the 3 or 4 billion poor people worldwide to mid-20th-century Western standards. It's moving Chinese peasants from donkey-carts to bicycles to mopeds and eventually to cars (with carburetors, 4-speed manual transmissions and vacuum-tube radios). 50 years ago a business simply couldn't over charge and pay CEO's an exorbitant amount to pass it on to the consumer. 1 income per household just didn't have the $. Similar to raising the minimum wage. Prices have to increase for everyone to cover that cost or go out of business. In 1967, There was only one guy protesting the Vietnam war on our ROTC drill field. By 1969, I was at Cam Ranh Bay. Capital (and to a lesser extent, labor) flows trans-nationally. But if the aim is to make a hypothesis about prosperity vs. equality, ought we not to take the whole world as an aggregate? It unnecessarily complicates things. Every country has different laws and currencies and ways of doing business. But each one that is playing by consumer-capitalist rules will experience greater growth if consumers have a larger portion of the pie. The reason why many countries remain poor is because their societies and institutions have been too corrupt or unstable to get off the ground. But yes, the same can be said on a world scale. It is however not happening. The uplifting of people in developing countries is a modest but necessary byproduct of the oligarchs scheme to increase their wealth and power. 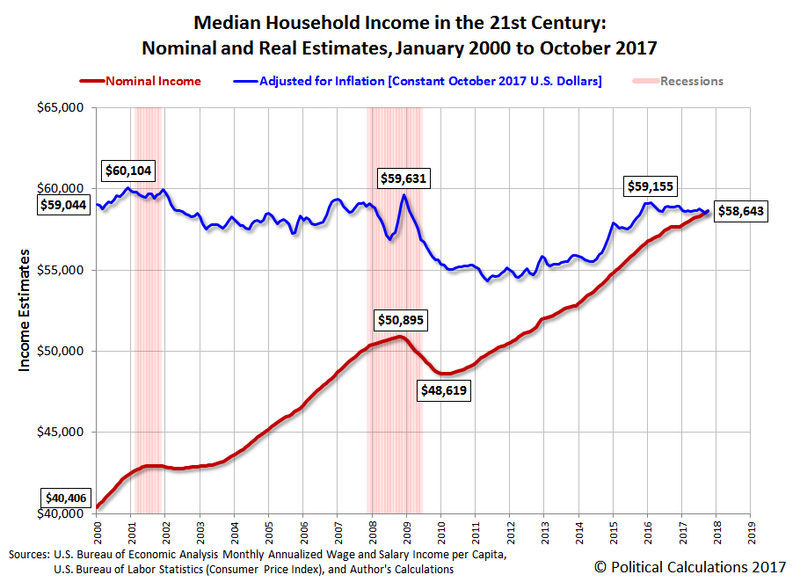 In other words, the middle class of the US is paying for both the oligarchs massive wealth increase as well as the poor, but the net effect is an increase in world inequality, and a slowdown in world growth. There is however another possibility, worth entertaining at least casually: technological innovation is actually plateauing, instead of accelerating. The low hanging fruit has been plucked, but surprisingly the per capita GDP growth in the US has not faltered from its 200 year trend of 1.9%/yr. It hasn't accelerated or slowed in that time (not for long). As for the future, AI advances will drastically change pretty much everything. Productivity will rise rapidly, but lots of people will become superfluous, and consumer-capitalism will cease to be viable. What does that link say about DEPRECIATION? National income is the total net income earned in production. It differs from gross national product mainly in that it excludes depreciation charges and other allowances for business and institutional consumption of durable capital goods, and indirect business taxes. The depreciation of durable consumer goods did not matter in 1967 either. Engineers could design flying machines capable of 400 mph to fight WWII but even almost half-a-century after the Moon landing we are supposed to care because they keep redesigning crap that rolls along the ground at less than 100 mph. How much have American consumers lost on the depreciation of durable consumer goods since the Moon landing? Planned Obsolescence keeps all of us peons running on the corporate treadmills. At least all of us that are employed. Not many robots or Internet in 1967. You already have a thread on AI and automation, so I won’t confound the two topics here. It does however seem to me to be outlandishly optimistic, to regard it as being likely in the near-term, that we’d have machines that could actually think. It seems to me, that the gap between the ancient Chinese abacus, and to sum-total of all computational power available today (now in 2018), is inconsequentially small than the remaining gap from where we are, to that of machines capable of even the most rudimentary thoughts. Societies have found themselves often in the past, where it seemed that vast swaths of people would be rendered superfluous, by new methods, new fashions, new technologies. “This time may be different”. Fine. But even if it really IS different, why do we suppose, that human ingenuity won’t find some means both of consumption, and of recreation, for these newly superfluous people? It seems to me, that what limits GDP growth is not demand, or even supply, but whether or not we continue to have radically new ideas – ideas for doing more with less, for doing totally new things, for creating and then fulfilling heretofore nonexistent appetites. I worry more about a world that atomizes and retrenches, that hides behind national borders, than an international government ruled by computer.